Nothing says Valentine’s Day quite like Roses and Candy – so why not combine the two? 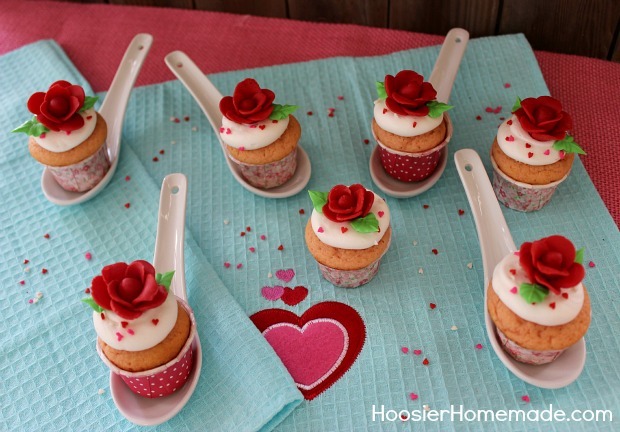 These Valentine’s Day Cupcakes have a Rose made with Candy Clay on them, making them not only beautiful, but very delicious too! Aren’t they beautiful? I must confess though…I didn’t make the Roses! Well…hold onto your seats…my husband made them! 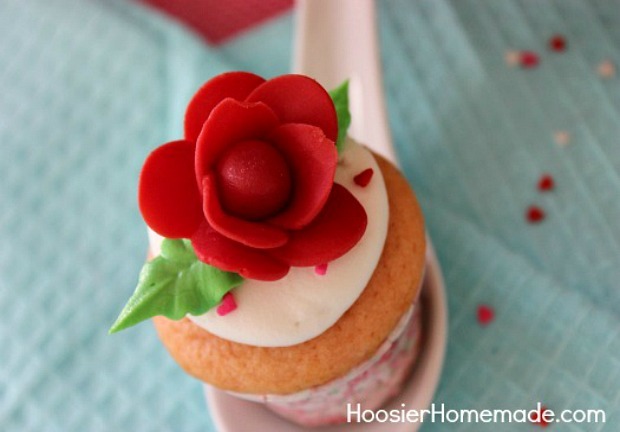 Yep…last year while I was on another trip, Doug went to Duncan Hines Headquarters and one of the things he learned how to do was to make Roses. 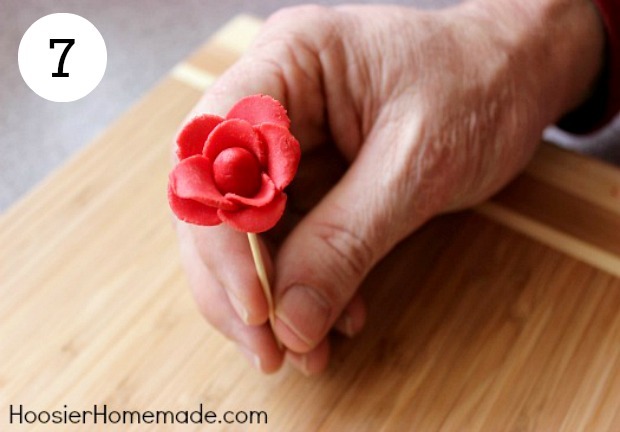 So when I told him I was planning to make Roses with Candy Clay, he jumped at the chance to show me what he learned. He did such an awesome job…I let him take over today! We have used Candy Clay many times, but to refresh your memory…it’s made with Candy Melts and Corn Syrup, you can work with it like fondant, but it tastes GOOD, not like fondant. 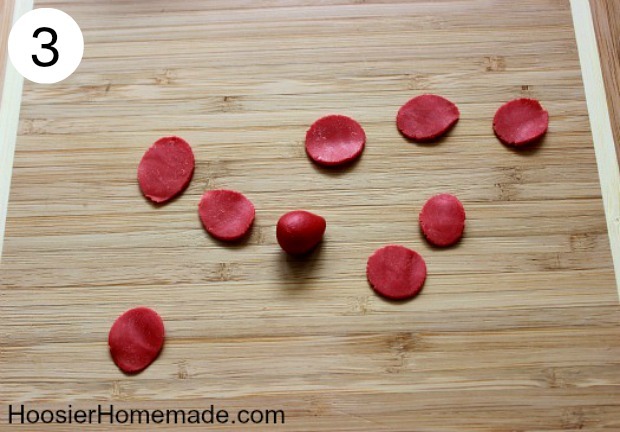 Learn how to make Candy Clay. For each Rose you will need 1 large ball of Candy Clay and 8 smaller balls. Size will depend on how large or small you want your Rose to be. Gently roll the larger ball on the edge of hands, forming the bud of the Rose, you should end up with a tear drop shape. Next you will need to make the petals. 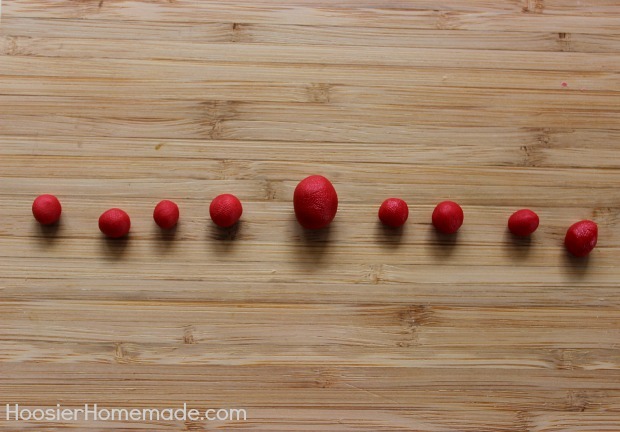 Lay 4 of the smaller balls of Candy Clay on top of a resealable bag and fold over the edge. 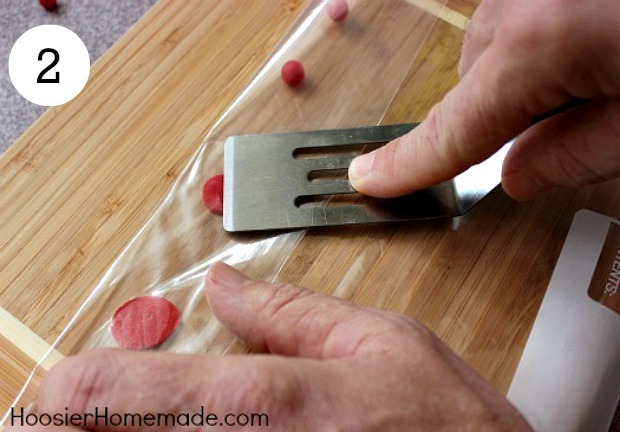 Using the flat edge of the spatula or other utensil, gently pull the Candy Clay toward you to flatten. It’s best if you can form a tear drop shape, but a little fatter. Here is what the petals should look like. You can use 8 petals, or any number that you like and any size. 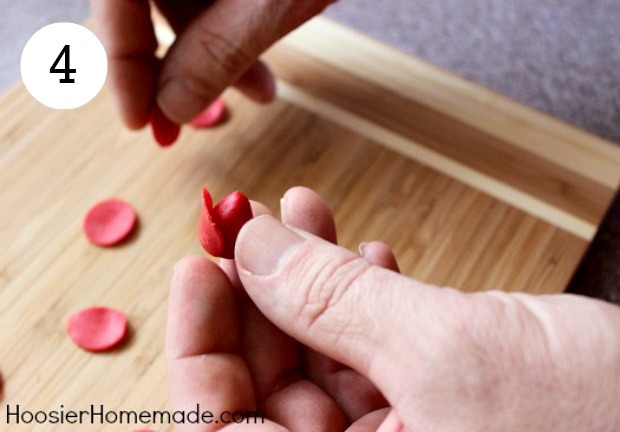 After the petals are formed, let them set a few minutes so they are easier to handle. Hold the bud in your hand, and begin adding the petals. 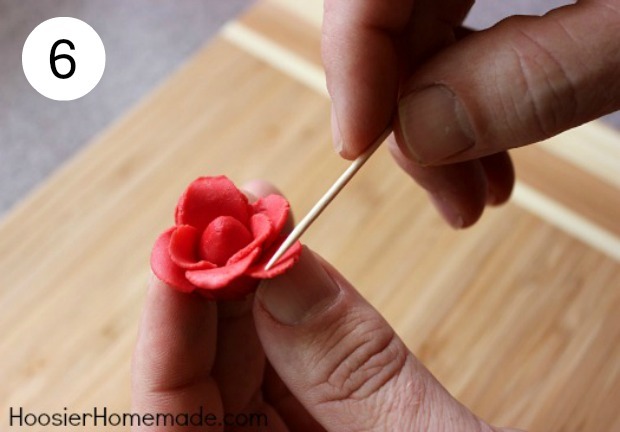 Use a toothpick or your finger to move the petals around. Place the rose on a toothpick and set aside until you are done with all of them. 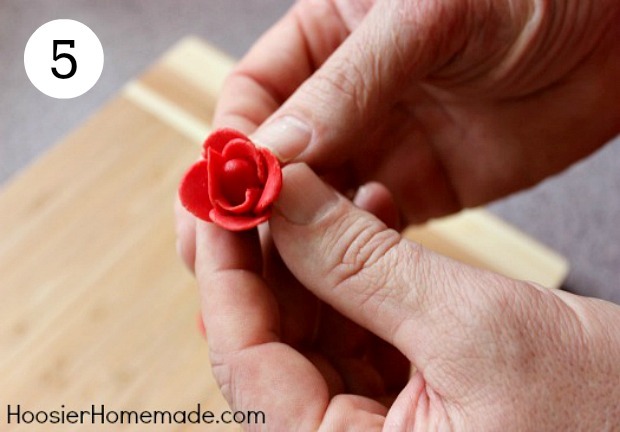 Depending on how hot your hands get, you may only be able to make 7-8 roses at a time. 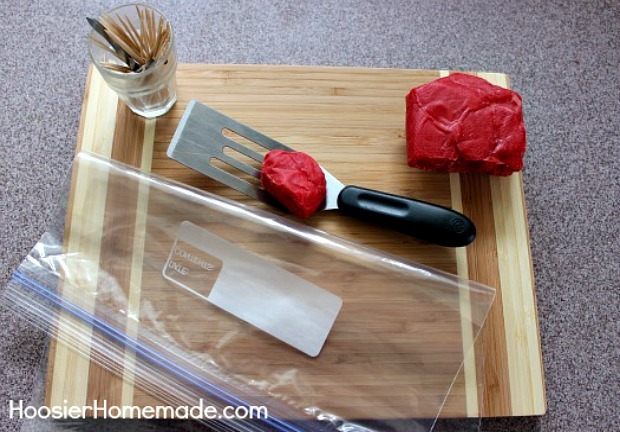 The Candy Clay can be made ahead and stored in a resealable bag. 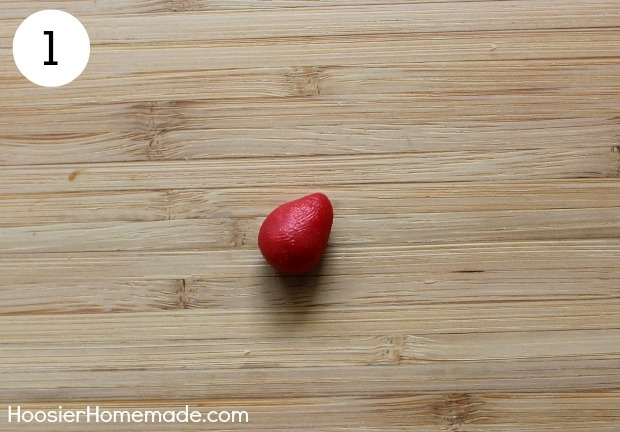 We use our Food Saver, and the Candy Clay lasts for a couple months. 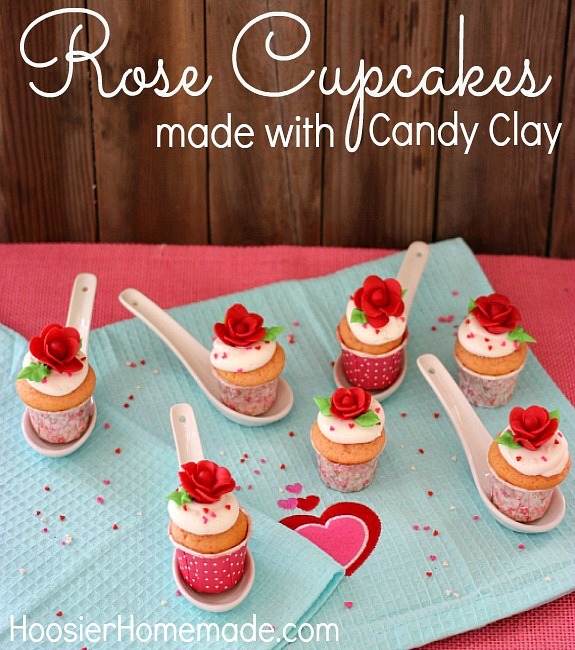 You can get at least 4 dozen roses from 1 batch of Candy Clay, depending on the size of rose you make. 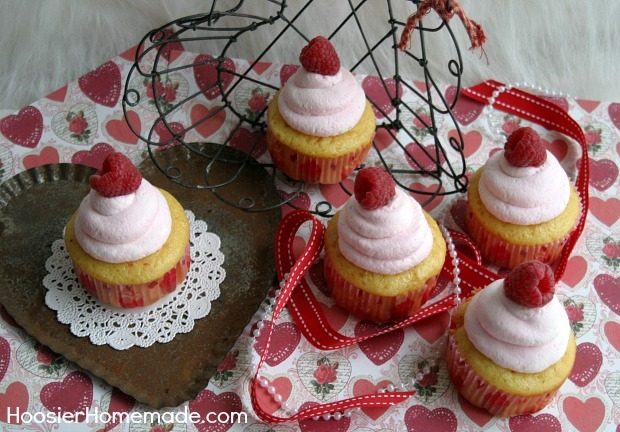 To finish off the Rose Cupcakes, the cupcakes – Pink Velvet Recipe HERE – got a swirl of white frosting using a Giant Round Tip and a few Micro Heart Sprinkles, then I added a couple leaves using Tip # 352 with green frosting. The cupcake liners are from the Martha Stewart line and I found them at Michael’s.